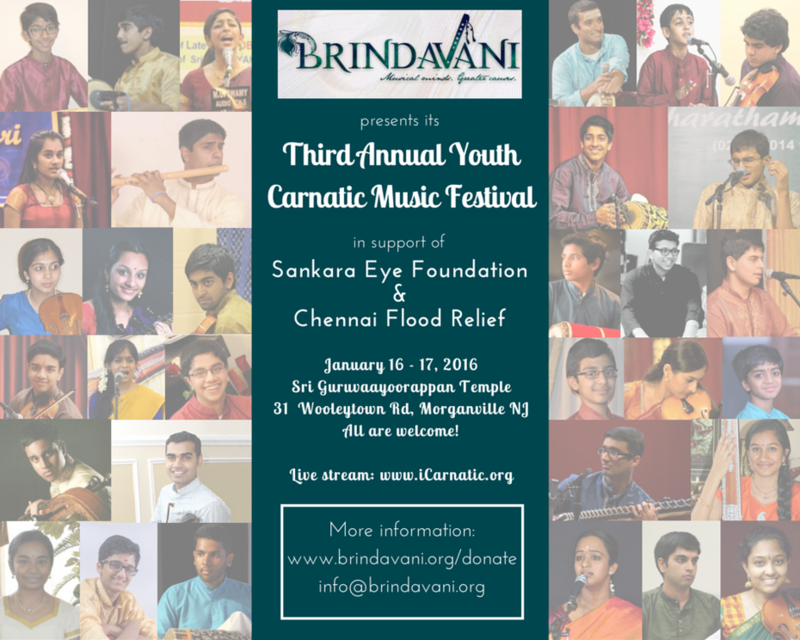 We at Brindavani are thrilled to announce our Third Annual Youth Carnatic Music Festival, in support of the Sankara Eye Foundation! Please attend, donate, and enjoy 20 hours of incredible music! All are welcome! To find out how you can donate to Sankara Eye Foundation, click here. 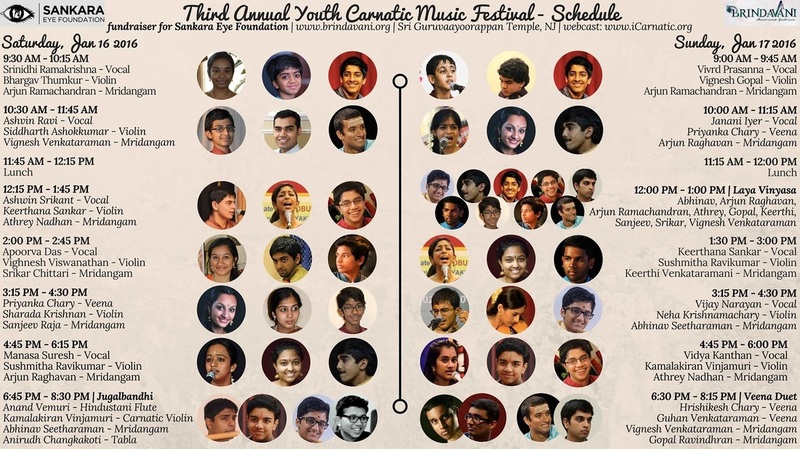 iCarnatic will be webcasting the entire festival!